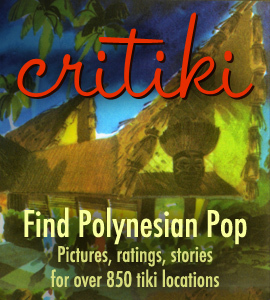 Tiki-Tim makes music from his extensive Exotica, Hawaiiana, and other midcentury tropical music collection available for download at his blog, Tiki-Tim’s Exotica Lounge. Current selections include Hal Aloma’s Lure of the Islands and Nani Wolfgramm’s Polynesian Love Song… coming August 29th is Chaino’s Jungle Echoes. I was wondering if you had a copy of Dracula’s Deuce for sale, by the Ghouls? I found your site via a google search for this old record … would be open to downloading it as well.